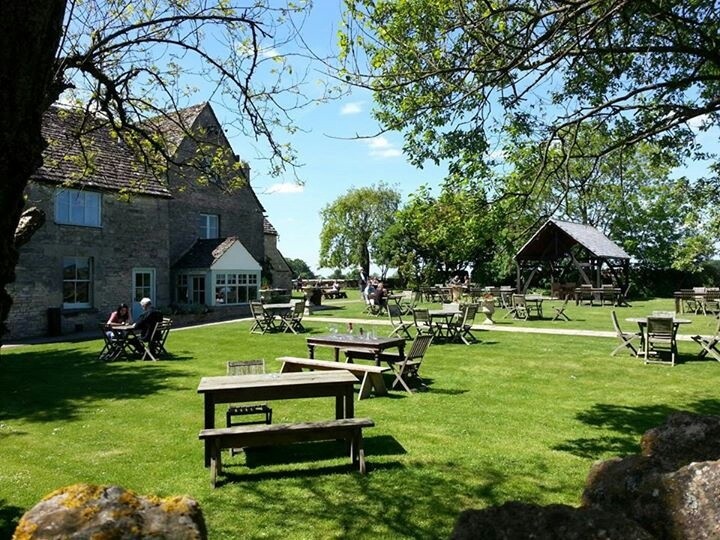 et in the heart of Minchinhampton Common, well away from main roads and with unrivalled views of the Cotswolds, The Old Lodge is the perfect place to take it easy. The floor to ceiling windows in the restaurant offer stunning views of the beautiful common land and the cattle that graze nearby. We visited as 2 meat eaters and 1 vegan, having previously checked the menu for options for the vegan, this feedback is specifically about the vegan experience. We had the vegan sharing platter and the burger. All were well presented however the bites, fritters and burgers all contained just puréed vegetables/ beans and then were deep fried, if it hadn’t been for the latter I feel all three would have lacked flavour, they certainly lacked texture, some veggies left whole/ chopped would have improved the bite into the food and some additional taste through seasoning, herbs or spices would have improved all 3 items. But well done for trying, they were well presented and it was lovely to have a choice of options on the main menu. The Old Lodge is a lovely place to eat and my companions were happy with their meals. We came as a group of four and have been  several times as it is such good value and the service is always welcoming. Personally I do not like the battered vegetables but there is plenty to chose from. A superb meal. Cooked to perfection. Excellent presentation. We had 3 roast dinners (2 of them vegetarian) and everyone very happy. Service was super. We were well looked after and made to feel at home. Recommend. A lovely evening. Even though the Old Lodge was busy with a wedding party, they did not over look us. Good service and the food was excellent. Thank you for making a lovely evening for us. Great food in a great location! We quite often come to the Old Lodge for Sunday lunch, which was always absolutely lovely - beautiful food, great service and a really nice atmosphere. We have been there pretty much once a month for the last 6 months. However, we visited on Saturday 9th February to celebrate my father's 80th birthday - it was absolutely dreadful! So very disappointing as it was supposed to be a birthday celebration! There was a wedding on - I would suggest that no-one goes near the place when there is - the staff clearly focus just on where the money is so we were pretty much ignored, the food was second rate and it was so loud we could barely hear ourselves think! In fact, we were not in the restaurant, just shoved into a cramped corner of the bar. Truly dreadful! I booked the table on line, why on earth wasn't I told that there was a wedding on and therefore given the choice? I wouldn't take the risk in future - we will go somewhere else. Great family lunch. Food delicious. Staff very friendly and helpful. Dog friendly, brought us water and let us change tables to be tucked in the corner with our old dog and our 5 month old pup. It was our first time out to lunch with them and we will most definitely return. Warming log fire on a cold winter day. Brilliant all round with the food as the star turn. A really good evening at the Old Lodge. The staff are lovely. Despite delaying our meal for two of our party, who incidentally failed to arrive,your staff were courteous and helpful at all times. This is our 3rd year at The Old Lodge for our company Christmas meal. The Staff were really great and very helpful. We had the Panel room next to the bar area which means we had our own private function room but with armchairs along with the main dinning tables. The only issue we had was the 2 tables were different heights and 1 of the tables needed maintenance, other than that great. Lovely, welcoming staff. 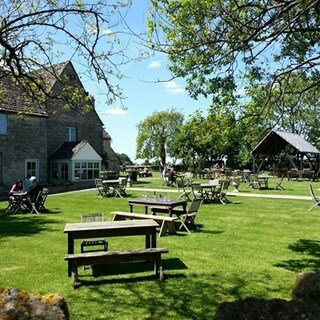 Delicious food, great views and atmosphere. First time for us having Xmas dinner at a restaurant. A pleasure to be with you all on Christmas Day, enjoying the atmosphere and gorgeous food. Thank you all for working on this special day too. Amazing Christmas meal, great service, lovely atmosphere and yummy food! I moved to the area a few years ago and have visited a few pubs/restaurants in the area and the Old Lodge is by far my favourite. Every time I have been the food has been fantastic and the service is brilliant. Obviously nowhere can be perfect every time but in my opinion this is as close as it comes for me. For me - GF was not as good as it could’ve been. Fine for starter but asked for (especially as we pre ordered) gf cheese and biscuits and to be given the gf bread instead of biscuits (when they are very easy to get or if I’d been advised I’d have brought some of my own) wasn’t great. The best time we have ever had at The Lodge and we have lived just across from here for 26 years. Lots of interesting 'Sunday walk' dogs in attendance and our friends and family had such a good time too. It was a surprise for an 'early birthday' boy. Our lunch was taken in the lovely panelled side room so an extra special occasion for us. Regards to Nick (we were once fellow students in a French class at Stroud College). Excellent customer service. Booked for my mums 80th birthday and staff were very helpful prior to and on the day. Would highly recommend. Food very good too!